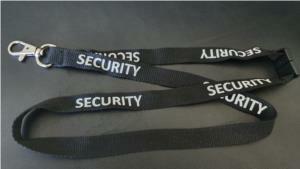 Name Tags and Badges is your first choice for your lanyard requirements. 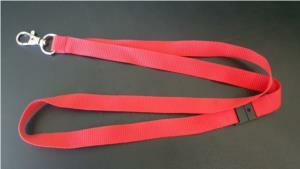 We offer a variety of styles of lanyards including plain or printed lanyards and the more popular sublimated lanyard which means your design is sublimated into the fabric that won't crack or peel. 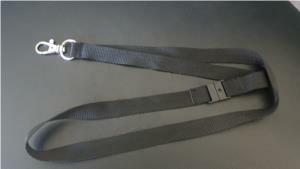 Choose from a range of widths, colours and fitment options including safety breakaway to ensure you meet staff Occupational Health & Safety requirements. There aren't too many trade shows, concerts, or other organised events where you don't see an abundance of organisers and staff wearing lanyards. For good reason. They are great way for attendees to identify who are staff members if they need assistance. 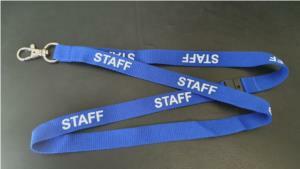 Lanyards also serve as a great way too for the venue operators to quickly identify staff to allow them to access restricted areas of the venue. 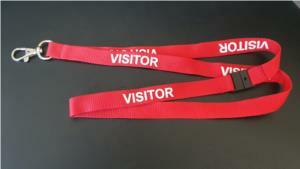 Lanyards are so popular, that their application also goes beyond trade shows and events. Many businesses opt for them in their everyday use as well to hang important work essentials such as swipe cards and keys. 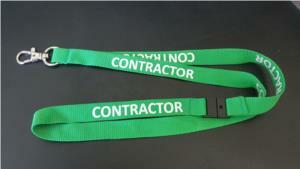 Name Tags and Badges lead the way with premium customised lanyards that are hard wearing and durable. We can assure you that our lanyards will provide you with the utility and appearance that will give your business the professional edge. 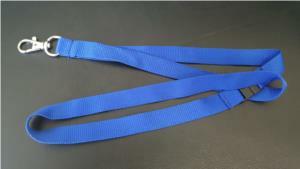 Order online today from our selection stock lanyards by clicking on the images below or please call us on 1300 132 980 or email us at info@nametagsandbadges.com.au to discuss your customised lanyard requirements.